Blue collar Bremerton, dominated by its naval station, sits on the Kitsap peninsula just 2 or 3 miles southwest of Bainbridge Island, but a world away in culture. The city has essentially been in decline since WWII, with the submarine base in Bangor draining much of its labor and the shopping mall in nearby Silverdale draining its commercial center. But the area around the ferry dock features substantial modern development, with a convention center, hotels, and art galleries. Locals say that the divey "Drift Inn" Tavern is the only thing that hasn't changed in the area. 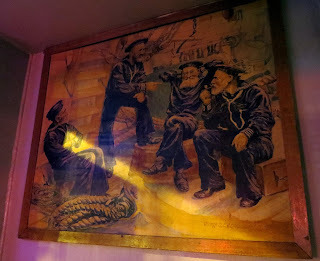 The Drift is a fairly lively that has been around since the 1950s, with other bars preceding it in this space ("Bottoms Up" is listed here in the 1934 Polk Guide, Sullivan's in 1938 and 1942). Bartender Jenny talked to me about other old bars in the area, and told stories about the Drift. One involved a band performing during "Driftmania 2" wearing a fake bomb on his chest, and apparently deciding to leave it wrapped around a tree in front of the bar when they left for the night. The next morning, Drift employees attempting to open the bar could not get in because the FBI were sweeping the place. 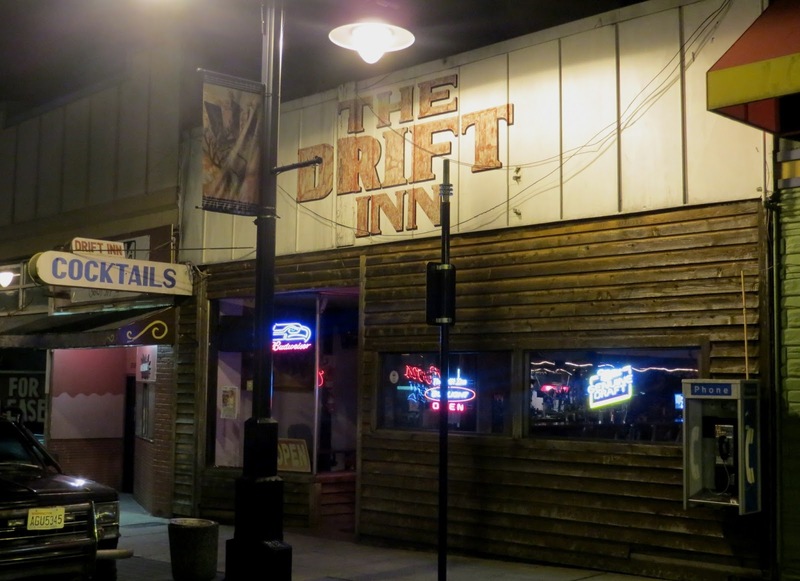 The Drift Inn delivers on the dive bar basics: inexpensive, stiff drinks; engaging bartender; interesting cast of characters.